Use Your Own Land? Not in this Country!!! The prosecution of Charles Johnson began in 1990 after a neighbor questioned how he handled water in his cranberry bogs. Twenty-one years, $2 million in legal expenses, and nine grandchildren later, what is believed to be the nation’s longest Environmental Protection Agency enforcement action may have finally come to an end earlier this month with a federal jury finding the Carver grower guilty of illegally altering about 46 acres of wetlands on his once 400-acre property. After efforts to reach a compromise on a fine and penalty went nowhere following the verdict, US District Court Judge Edward Harrington set a bench trial for Sept. 19 to determine Johnson’s culpability. 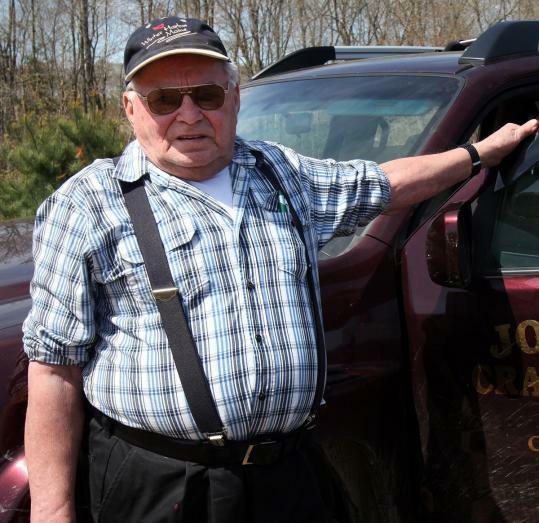 As it stands, Johnson would have to pay at least $75,000 in civil fines and spend another $1.1 million to return 25 acres of working bogs on the 150 or so acres he has left to the condition they were in before the growing areas were created. Johnson, 79, had sold off the rest of his land over time to finance his defense. The Korean War veteran doesn’t hold back when he talks about his prosecution. Originally, Johnson said, his neighbor complained about his excavation of bogs along the Beaver Dam Brook, contending that he was depositing fill into the waterway. Following an investigation, federal officials concluded that Johnson had violated the Clean Water Act by altering 46 acres to create three working cranberry bogs, two of them along the banks of the brook. Although the small waterway is only several feet across and about two feet deep at that spot, it is considered a navigable waterway under EPA standards, or one that connects to commercially traveled waters, thus subject to enforcement under the statute. Eventually, the stream that trickles through Johnson’s property widens and deepens and flows into the Weweantic River, and then into Buzzards Bay. Prosecutors have made the case that Johnson was obligated to obtain a permit from the Army Corps of Engineers for any work near that waterway, yet he did not. The arguments went in circles, as he maintained that wetlands never even existed in the area until he created his bogs. This is typical agency behavior in this country. Assault farmers, fine them extensively, get people off the land, stop production, and then kowtow to the WTO and negate our ability as consumers to know what country our food comes from. Pretty soon all we will be able to do for work is be brownshirts for the federal government, or ask, “Would you like fries with that?”. …Which brings to mind the new Obama Value Meal at McD’s. You order whatever you want, and the guy behind you pays for it. I want to encourage everyone to get involved in protecting private property rights. If we don’t have the right to use our property for our benefit, we will not have any kind of freedom left. I am deeply involved with the Ozarks Property Rights Congress. We have worked very diligently on a myriad of issues, and have been successful in bringing these things to the awareness of the public. The best stewards of land are those who actually own it and can benefit from it’s use. Be blessed today–and try to bless someone else! Where is the location of this farm? As near as I can tell the farm was (I am using past tense because he has sold nearly all of his land and can’t use the bogs he created because of this ruling)…..in Carver, Mass.